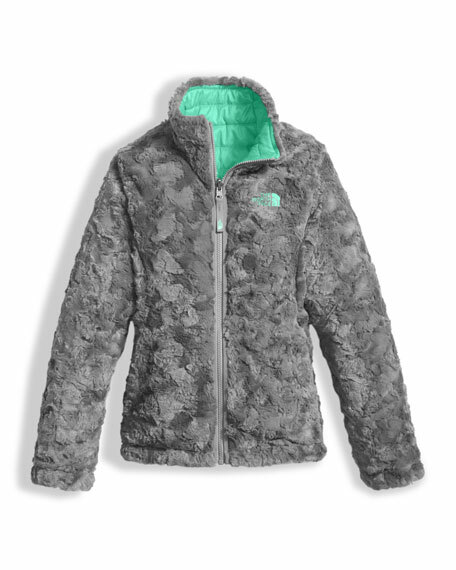 The North Face "Mossbud Swirl" jacket. 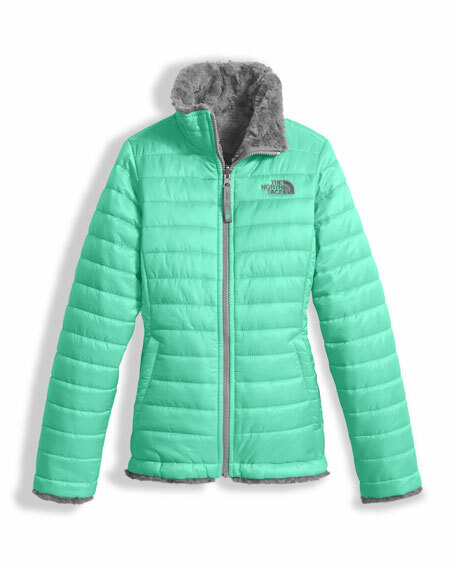 Quilted, durable water-repellent taffeta reverses to silken fleece. 100 g Heatseeker synthetic insulation. Embroidered logo at left chest of both sides. Embroidered logo on back right of solid side. Barbour "Cavalry" diamond-quilted jacket with logo pockets. Stand collar; hidden zip/snap placket. Long sleeves. Semi-fit silhouette. Lower flap pockets. Elasticized back belt. Curved back hem. Hip length. Nylon self/lining. Polyester fill. Dry clean. Imported.